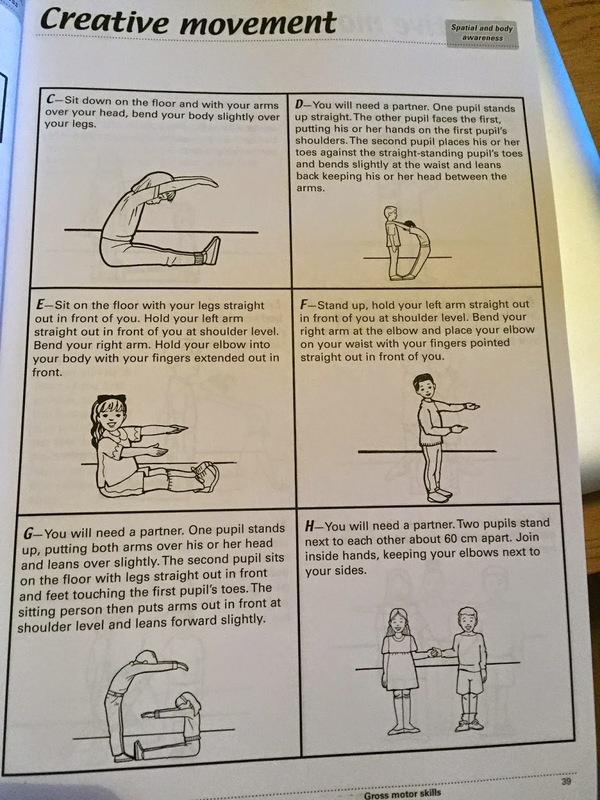 When a child gets a diagnosis of dyspraxia/dcd there is usually a list of different recommendations and ideas – however it often requires a huge amount of research on the part of the teacher to figure out what different phrases and ideas mean. 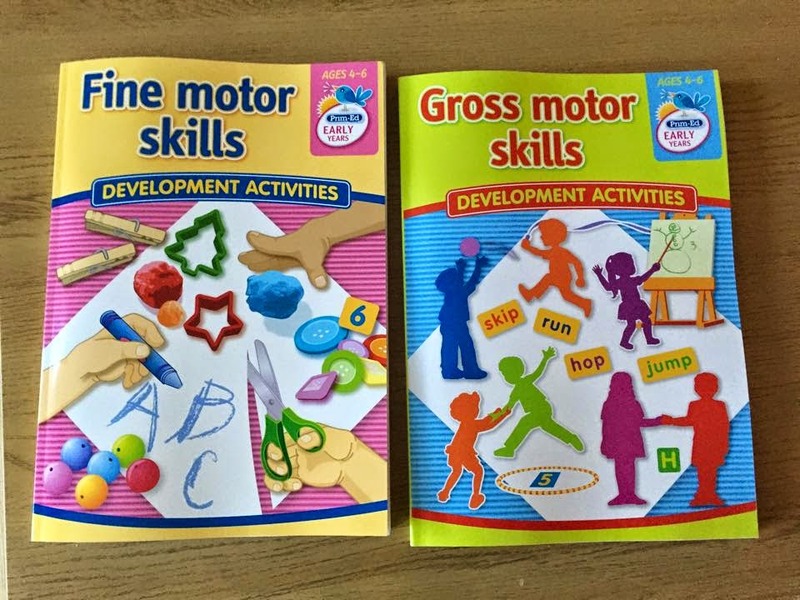 The start of this book gives a short summary and some key activities to help the child develop specific skills including body awareness, motor planning, bilateral integration and crossing the midline and tactile awareness. Two handy checklists – these checklists are perfect for infant classes as they give an outline of what the child should be able to do by age 4-5 or 5-6. 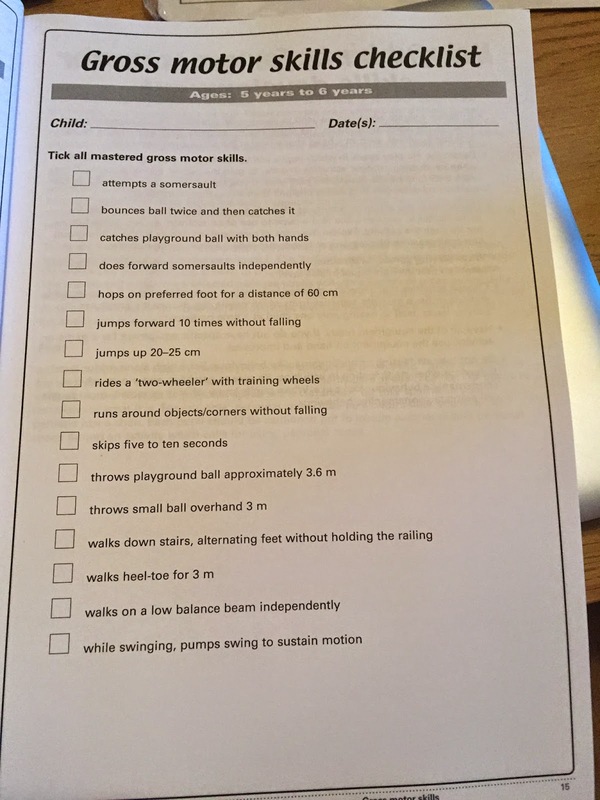 These checklists are also very helpful for children with dyspraxia as they are clear targets which you can focus on in your sessions. 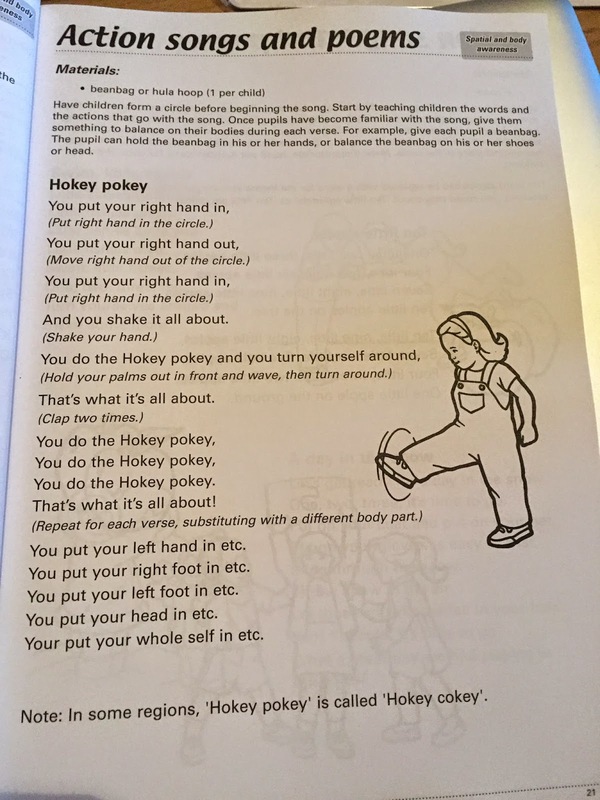 There is a lovely section of action songs and poems which children will really enjoy and won’t even be aware that they are developing their spatial and body awareness. There are lots of ideas which enable the child to use their creativity. Below you can see the section where children use their bodies to make the letters of the alphabet. This would be great for a P.E. or drama lesson and for pair or group work! 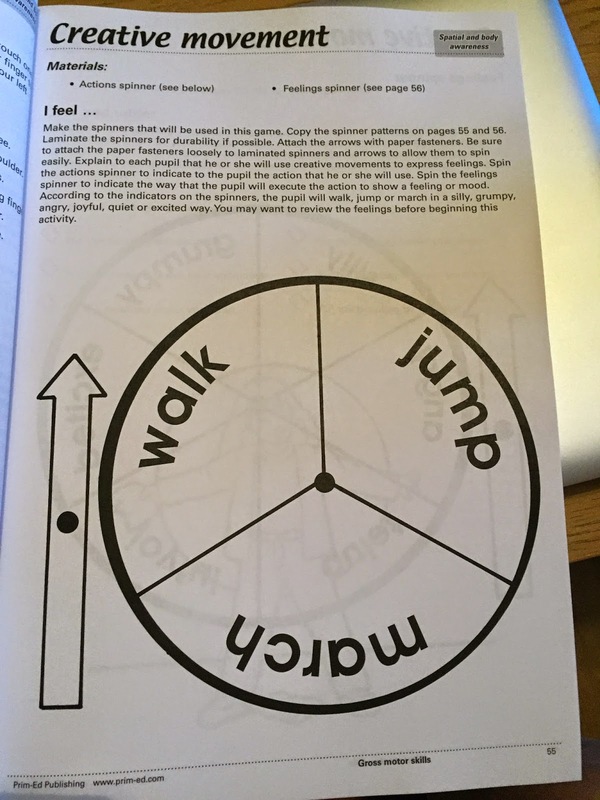 There are many photocopiable resources which would be great for P.E. warm up’s or station teaching. Today I photocopied these on coloured paper, laminated them and used split pins to create the spinners. 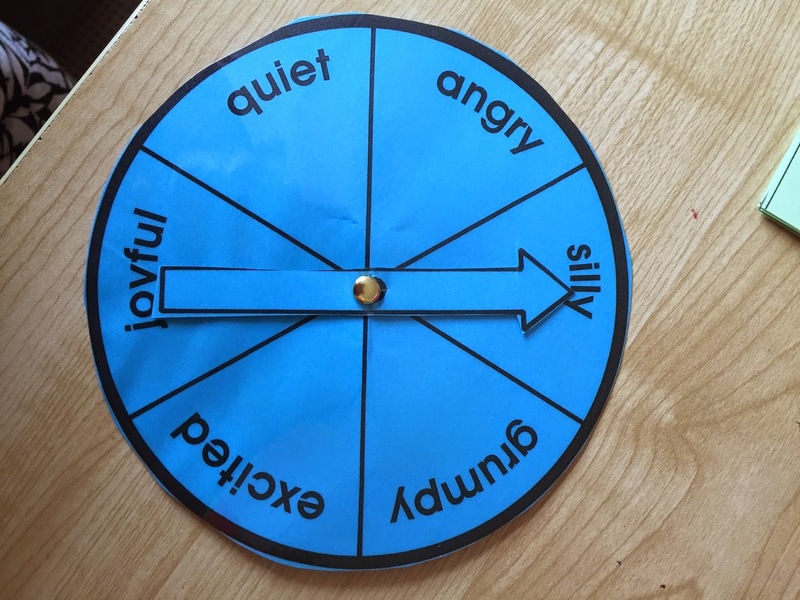 The children really enjoyed using these for our movement group today! 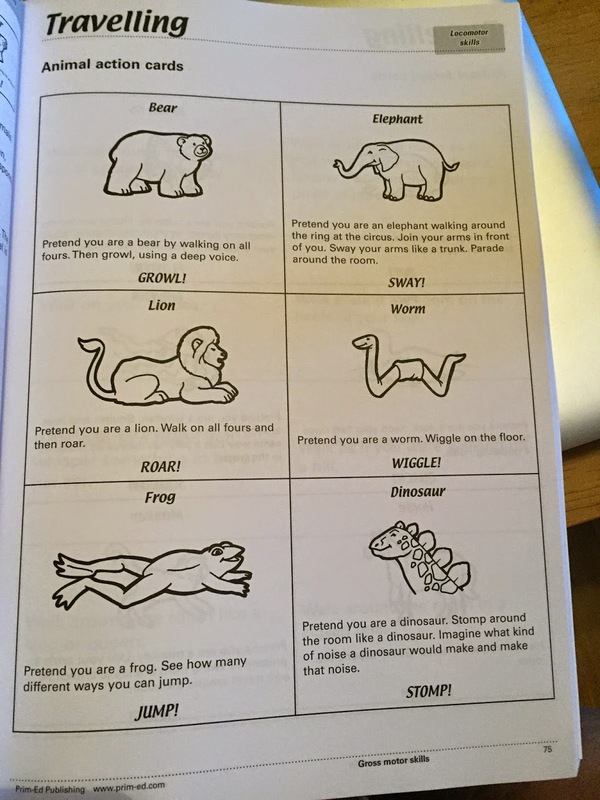 Children will also really enjoy moving around the room like different animals! 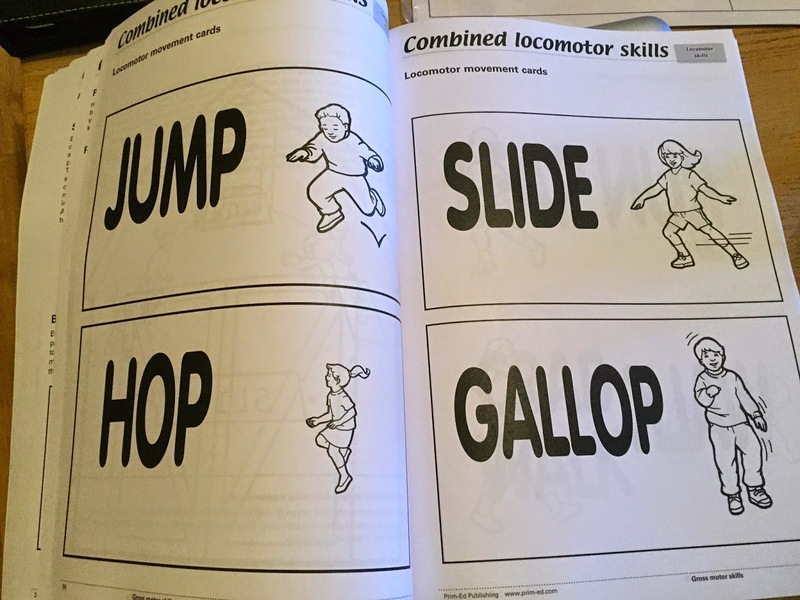 Here are more photocopiable resources which could be used for station teaching. 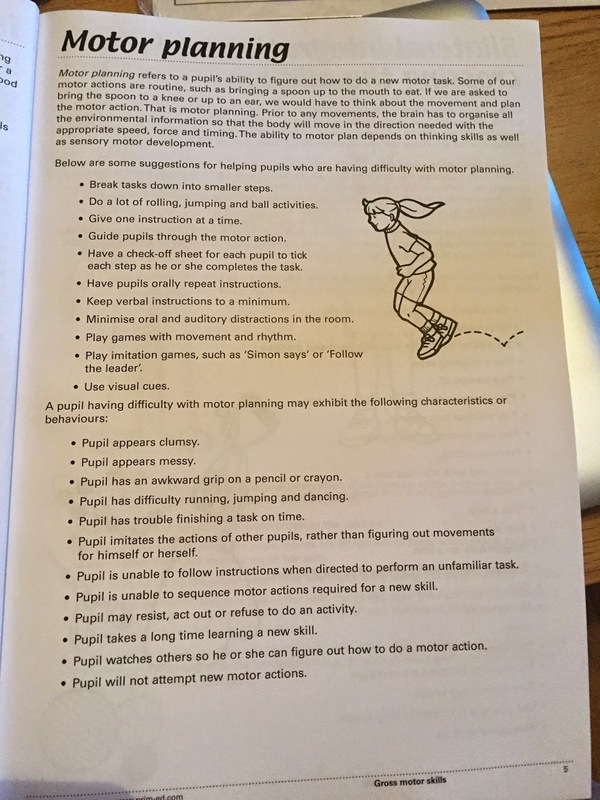 Overall this is a fantastic resource for teachers in junior schools (for P.E. and drama lessons) however, most of it would be easy to adapt for senior classes and also for resource teachers. 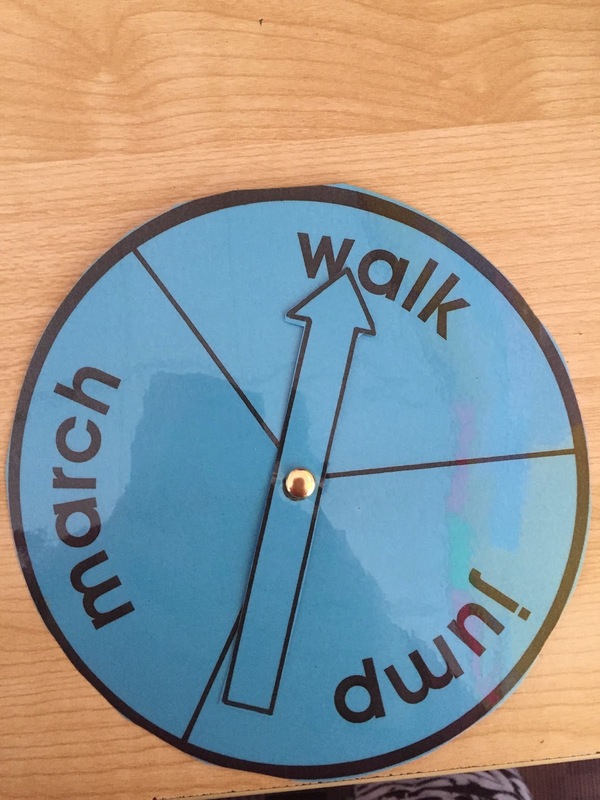 Since September I have been using a huge range of resources and at last I have found this which covers gross motor skills and is full of useful and practical resources and activities.